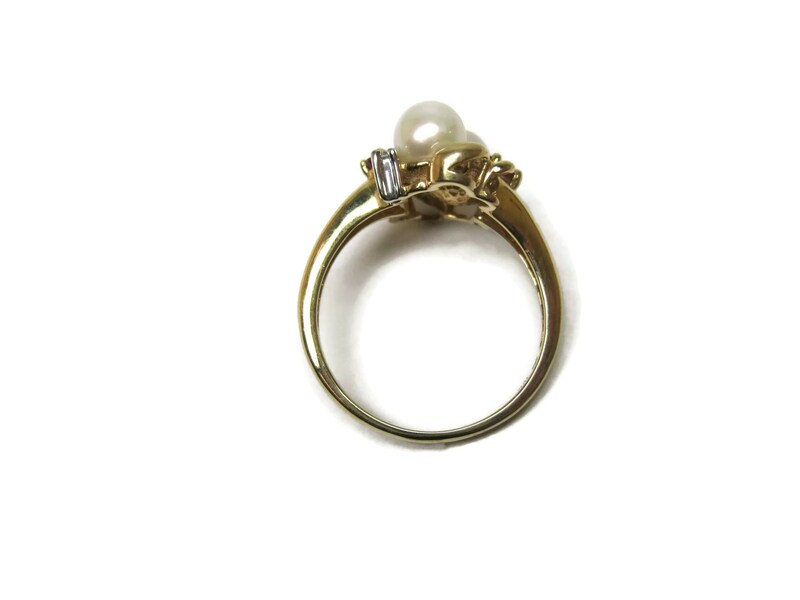 This gorgeous vintage ring is 10k yellow gold. 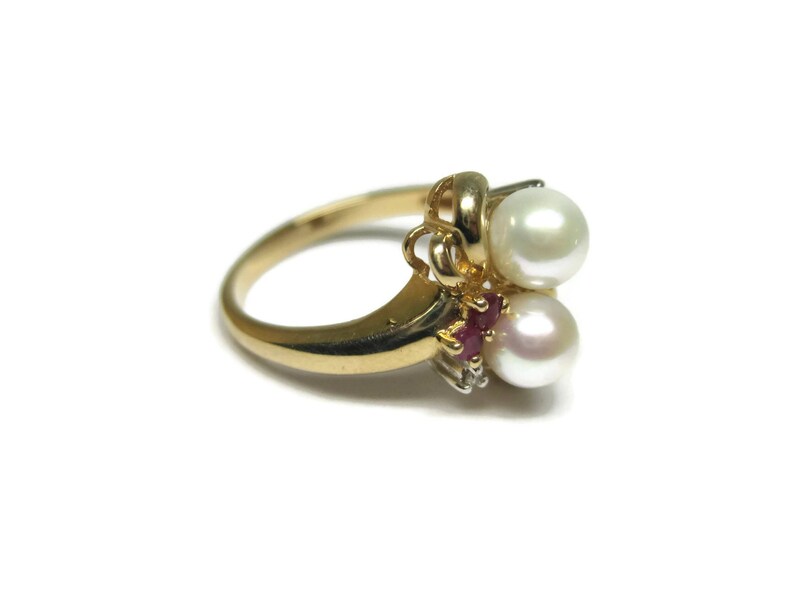 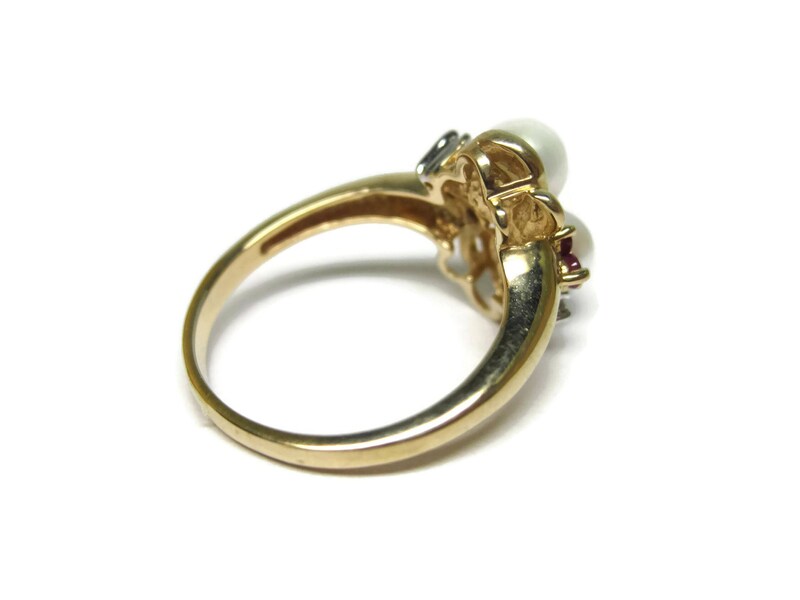 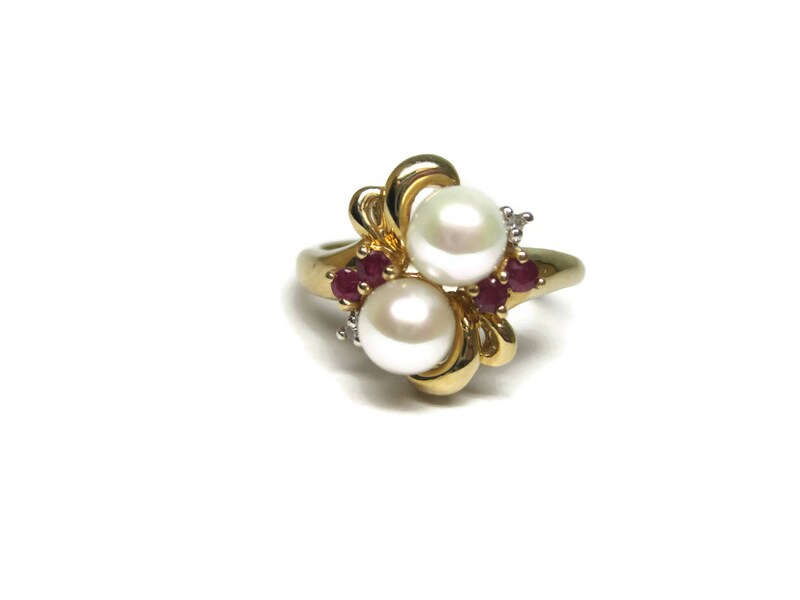 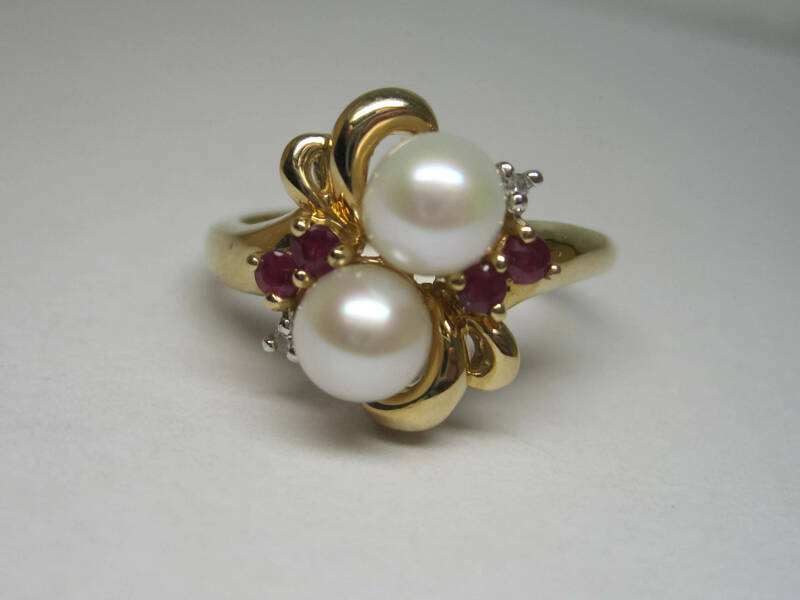 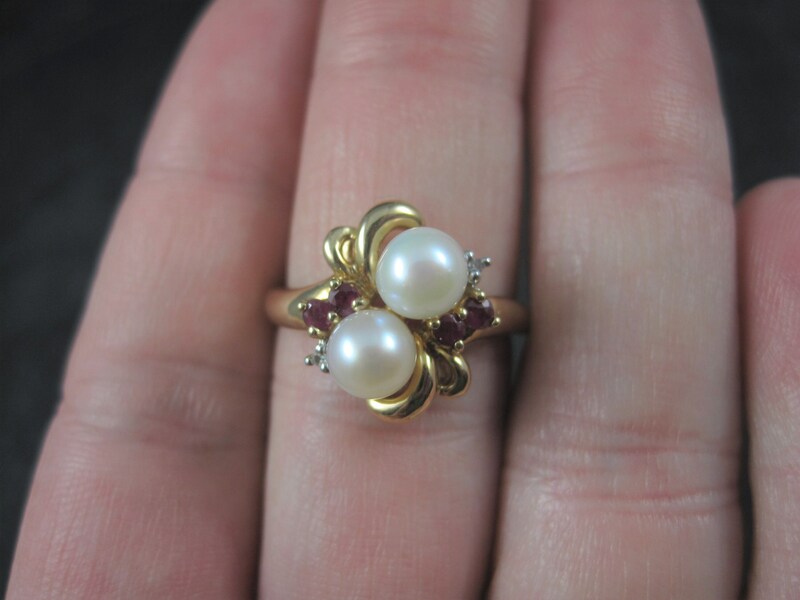 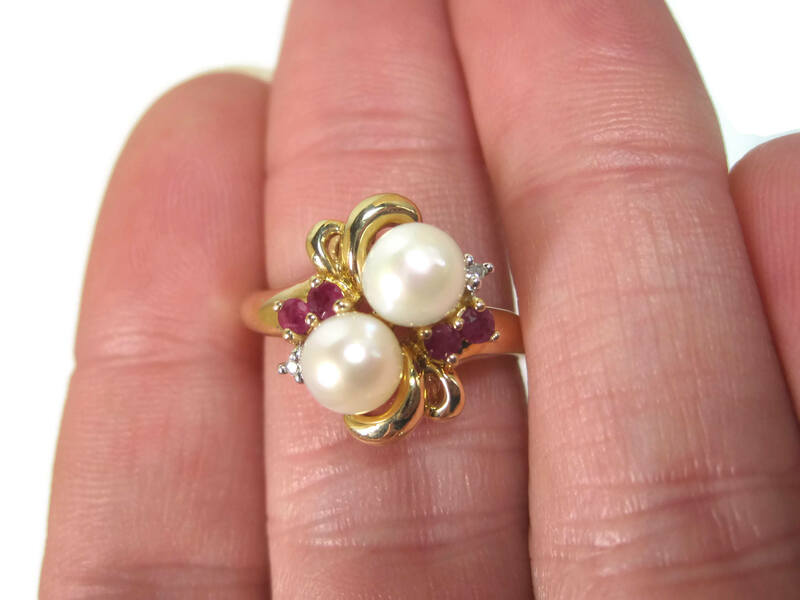 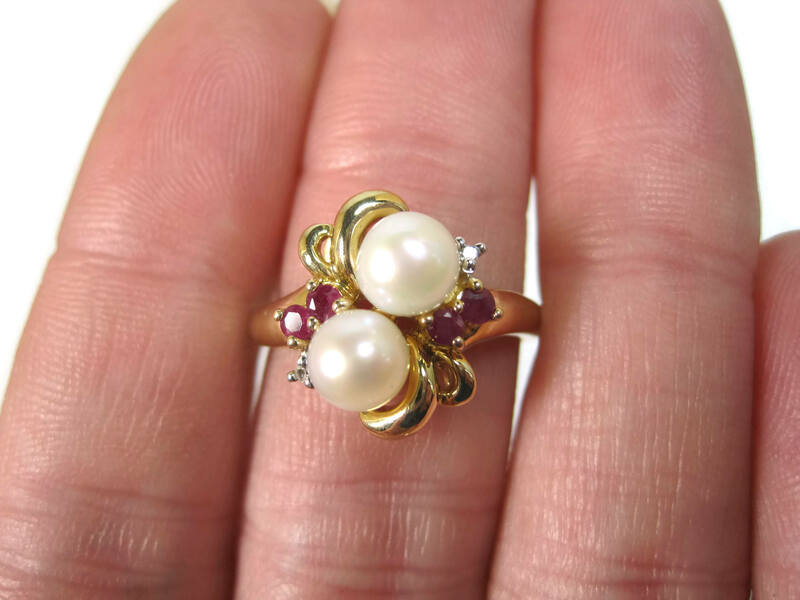 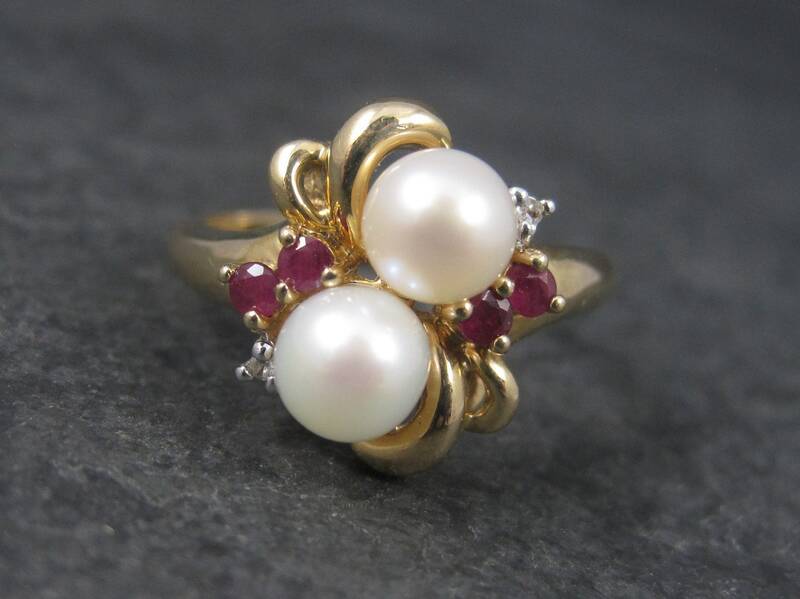 It features 2 natural 6mm pearls, 4 round 2mm rubies and 2 tiny diamond accents. 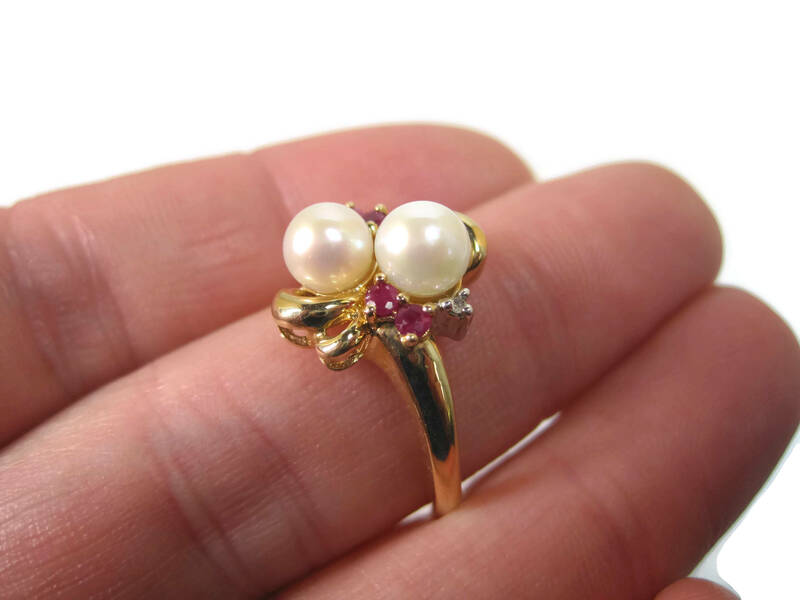 The face of this ring measures 9/16 of an inch north to south with a rise of 8mm off the finger.